Brace yourself, because the CES 2015 teases are coming thick and fast, with Alcatel showing off its first smartwatch offering ahead of a formal, Las Vegas-based unveiling. Dubbed simply the Alcatel OneTouch Watch, the round-faced wearable looks set to come packing a variety of watch face and strap options alongside a Moto 360 rivalling form. 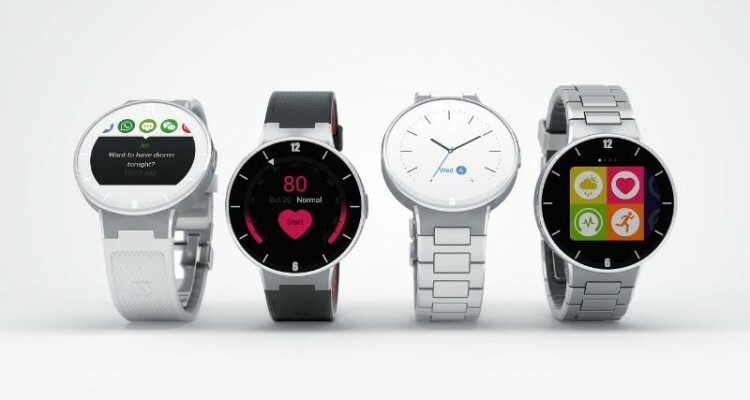 Having teased an image of the sleek looking device, Alcatel has revealed that the wrist wear will sport an integrated heart rate sensor and allow for the usual array of smartwatch features – remote messaging, call handling, fitness tracking and music playback control. Shown with four strap options – including both metal and rubber offerings – it is currently unclear whether the OneTouch Watch’s stylish round form is crafted from metal or plastic. The manufacturer has stressed that the wearable will feature a “smart price”, although exactly what this equates to is still unclear maybe it will be light on our wallets. Further details are still unclear, including release plans and OS, although with CES 2015 set to kick off on Monday, January 5, you shouldn’t have to wait too much longer for more info.